Back in the 1990s, logging into a chatroom and talking to a stranger on the other side of the world was nothing short of mind-blowing. There was a very real feeling of thrill. Here you were, at home and in comfort, chatting freely to people around the globe with no delay, no entry barriers and no feelings of inconvenience. Today, we take that real-time connectivity for granted. 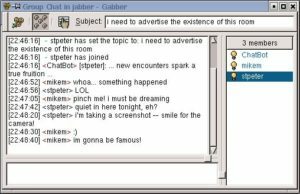 Chat rooms may be a thing of the past, but chatbot have never been so prevalent as they are now. Chatbots are computer programs that carry out conversations with people using lightweight UI & language-based rules (or artificial intelligence). These are used by the program to fulfill tasks assigned by the users. It converses with users using natural language (either voice or text) rather than traditional website or app user interfaces. Chatbots are at the epicentre of a drastic shift in how people communicate. So much so that, they are central to the strategy and direction of major tech companies like Google and Facebook. According to Satya Nadella, CEO of Microsoft, “Chatbots are the new apps”. In case you were wondering why chatbots are suddenly so important! It is because consumer behaviour has shifted from social networks to messaging platforms such as WhatsApp, Facebook Messenger, Slack, and WeChat. The growth of the four largest messaging apps exceeds that of the four largest social networks. You might think the ‘new friends of humans’ chatbots are based on a new technology that was developed in the recent decades. Well, you’re wrong! The idea of creating a machine that possessed thought processes similar to humans had been around for centuries. Scientists, philosophers, and even sculptors were fascinated by the idea of a humanistic automaton. Author Samuel Butler first wrote the idea of a mechanical consciousness in his 1872 science fiction novel, Erewhon. Despite the vast interest , it wasn’t until 1966 when any form of artificial intelligence really took form. 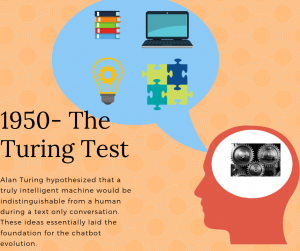 The formal history of chatbots starts around 1950, with computer scientists Alan Turing and Joseph Weizenbaum who contemplated the concept of computers communicating like humans do with certain experiments, which speculated the possibility of creating machines that think. This is famously known as The Turing Test. In order to pass the test, a computer must have the ability to display intelligent behaviour equivalent to or indistinguishable from that of a human, through conversations. 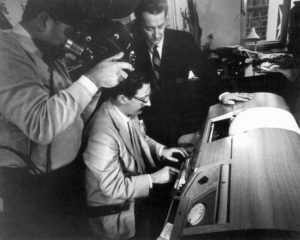 The test involved three players: two humans and a computer. Player C (a human) would type questions into a computer and receive responses from either Player A or Player B. The challenge here for Player C was to correctly identify which player was human and which player was a computer. The computer would offer responses, using jargon and vocabulary that was similar to the way we humans communicate in an effort to mask itself. Turing posited that if the human recipient couldn’t tell the human and the computer apart, then the computer should be labelled as intelligent. This was also popularly called ‘The Imitation Game’. Although the game was enticing, the computer would always betray itself, due to its basic coding and inability to understand human language. The game was invented much before the time of A.I., but it left the desire to develop artificial intelligence when our technological knowledge had progressed enough. Eliza, the first chatbot ever coded, was then invented in 1966 by Joseph Weizenbaum. Unlike the Turing Test, humans knew they were interacting with a computer program, and yet through the emotional responses Eliza would offer, humans still grew emotionally attached to the program during trials. The program proved wildly popular in its time, but the same pitfalls that plagued the Turing Test plagued Eliza, as the program’s coding was too basic to reach farther than a short conversation. The program was designed in a way that it mimics human conversation. The Chatbot Eliza worked by passing the words that users entered into a computer and then pairing them to a list of possible scripted responses, using a script that simulated a psychotherapist. The script proved to be a significant impact on natural language processing and unnatural intelligence, with copies and variants protruding up at academies around the country. Eliza’s key method of operation ( which has been replicated by chatbot designers ever since) involves the recognition of cue words or phrases in the input and the output of corresponding pre-prepared or pre-programmed responses that can move the conversation forward in an apparently meaningful way. For example, if you told Eliza that you were sad, it would respond with “Why are you sad?” inciting a further discussion and urging you to continue. This meant that Eliza could respond to a question it didn’t understand with the simple process of rephrasing the input as a question. Doing so, it could keep the user in conversation. Thus an illusion of understanding is generated, even though it may be merely superficial. It was capable of answering basic questions and asking for users to elaborate on their discussions. Eliza was a groundbreaking invention despite its lack of “real” intelligence. 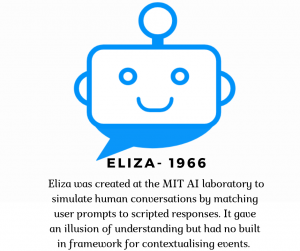 Despite only being capable of using pattern matching methodology to form new sentences, Eliza would receive an overwhelming response of positivity for its “human-like” conversations. Unfortunately, the program’s involvement was limited to this and was unable to actually understand the conversations it was having, and failed as an automated therapist. During the late 1990s, Alice became the first well-known chatbot that people could interact with online. With the advent of large-scale internet access, it developed something of a cult reputation. It was this chatbot that inspired the 2013 film ‘Her’ where the director got the idea of a movie where a man falls in love with the AI that powers his operating system while chatting with Alice in the early 2000s. Alice is an open source bot, one that anyone can download and modify or contribute to. It heavily improved on Eliza, allowing for tailored responses to the text it was supplied with. This allows Alice to impersonate a person in general, rather than a therapist specifically, as the case with its predecessor. Unfortunately, even Alice didn’t pass the Turing test, as even casual users could expose its mechanistic aspects in short conversations. The problem was that the shortcomings were now becoming more obvious. Without open-ended statements and questions, the lack of a response matched to the user’s input posed a problem for developers. While not necessarily a chatbot, IBM’s Watson paved the way for artificial intelligence. It was initially considered a “question answering machine” and was developed in IBM’s DeepQA project. Watson’s sole purpose was originally to understand questions in natural language and respond to them correctly. Unfortunately, Watson wasn’t always correct, and it sometimes gave absolutely bizarre responses to questions asked. 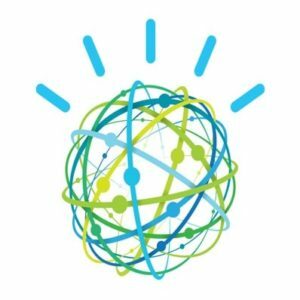 As of now, Watson has expanded its capabilities, its processing capabilities, and decreased its size substantially. It is paving the way for developers to create more believable virtual assistants which create more accurate reports and perform intense research. Watson also has a division, Watson Health, which is specifically for the healthcare industry to help doctors identify and diagnose diseases. It should be mentioned here that these historic bots were all “chit-chat” bots, as opposed to “task-oriented” bots. Whereas task-oriented bots are built for a specific use like checking if the weather or ordering food, a chit-chat bot has no function other than imitating a real person for you to chat with. Unfortunately, it turned out to be a disaster primarily because the bot would speak like millennials, learning from the people it interacted with on Twitter and the messaging apps Kik and GroupMe. In its short life, Tay was used as a tool for harassment, cutting along familiar lines of power and privilege. However, the ever-improving ability of AI systems to “learn” is the main reason it’s valued as an emerging technology. Restraining an AI’s learning capabilities to prevent it from learning bad things might also prevent it from learning good things. Humanity is known for many things, but self-restraint is not one of them. The same logic applies to AI. Unless we can find a way to design inclusively and empathetically, our machine creations won’t just be dangerous—they’ll also be deeply unpleasant to be around. In 2000, Robert Hoffer from ActiveBuddy Inc. co-created the SmarterChild bot which used MSN and AOL Messenger to interact with more than 30 million users. It provided access to weather, news, movie times, and so on. SmarterChild acted as a showcase for quick data access and showcased possibilities for fun personalized conversation. The company planned to turn it into customized, niche specific products. Its rapid success led to multiple targeted marketing-oriented bots as well but was discontinued in 2007. Chatrooms are specific portals where people with a common interest can communicate in real time. They were extremely popular in the 2000s on platforms such as AOL Instant Messenger, Yahoo Messenger and MSN Messenger, but not for long. You could enter those rooms and talk to anyone about anything. New worlds and new communities were opened that could not have existed before. Ideas were shared, connections were made, and digital groups were formed. Soon it was discovered that malicious bots were being used in chat rooms and IM’s (instant messengers) for the purpose of spamming and advertising, and even to encourage chat users into revealing their personal information, such as credit card or bank account numbers. It was also found that these platforms were being used by sexual predators to prey on underage children. With the huge success of services like AIM and MSN, instant messaging went mainstream. Early internet chat rooms had been burdened with something of a seedy reputation — which the popularity of these programs transformed. As social media has become increasingly identity-oriented and individualistic, anonymous chatrooms have remained obscure from the modern internet, even as they are potentially on the brink of extinction. What was clear from these was that humans have a desire to communicate with technology similar to how people communicate. However, we simply lacked the technical knowledge for it to become a reality at that time. Achieving quality human-computer interaction is a challenge as developers need to account for unexpected scenarios, ambiguities and standard human behaviours. Historically, most bots have used simple rule-based approach to present an output for a given input. The first wave of bots were based on defined programming rules and were used to automate simple, repetitive tasks. But today, with advances massive processing power and improvements in implementing artificial intelligence (AI) and machine learning (ML), bots are starting to provide real value to users. By leveraging deep learning, bots are now able to perform more complex tasks and write their own commands using massive data sets to answer even more complex queries. Bots have advanced to the point where they are streamlining support cases, explaining FAQa, scheduling appointments, and completing orders. Originally, these tasks required multiple inputs from a human to answer rule-based logic questions. 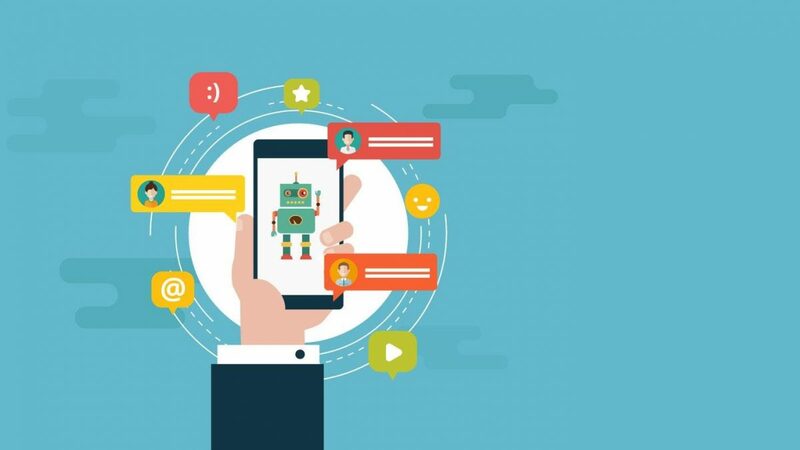 The rise of AI technology, coupled with the rapid proliferation of messaging apps, has made chatbots a glamorous marketing tool for businesses presently. In the present scenario, one of the main benefits of chatbots is their ability to respond instantly to user questions. Brands are looking to capitalise on this since chatbots will seriously impact customer service needs by churning out better experiences. Modern chatbots can be triggered by erratic clicking of the mouse on a screen when something isn’t happening as the consumer wishes and can be deployed in real time to propose a solution. Thus, providing an all-round, 24/7 service will obviously increase the value of the customer experience. 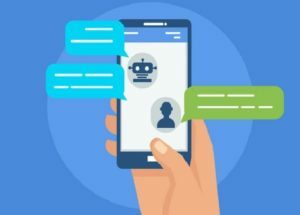 Today’s AI and ML technology allows the chatbot to connect with visitors in a more engaging and conversational manner. Chatbots not only answer questions of users, but also drive conversations, change topics, suggest similar topics, and even show demos. Chatbots have started delivering results far beyond just better service. Chatbots can be used for proactive content distribution as well, as many enterprises have realised. All demographics are finding value with chatbots in many different ways. Moving forward, all brands, will look for spaces where chatbots can be deployed to drive their businesses forward. 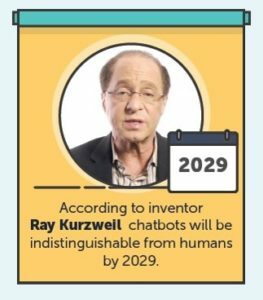 Ray Kurzweil, an inventor, futurist, and engineer at Google has predicted that chatbots will have human-level language ability in the distant future. Most business models for chatbots are still emerging across the globe, but WeChat already has applications that let you transact within its platform. In this case, the brands are making a personal appeal to their consumers via chat. Undoubtedly, the biggest advantage of agency power of chatbots is to save your most precious resource: time. Because time is everything, and people will be paying to automate the many tiring activities of their lives. Consumers are demanding faster and better experiences, and chatbots fit that profile. Though chatbots seem to be well-received so far, it’s not all a bed of roses. Most people would be unwilling to use chatbots again after one bad experience. Since they don’t offer the “human” experience, a lot of people can get frustrated with chatbots. So, companies with poorly designed chatbots could injure their own bottom line by driving people away. 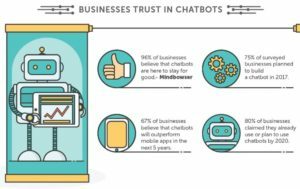 Most of the current chatbots are focused only on capturing inputs without establishing trust with customers who desire a connection. In the modern economy, we are all presented with the paradox of choice; bots are a great application to help surface actionable insights or refine our options and take action. As it has been mentioned many times in the recent tech scenario, we are at the peak of texts. At the same time, voice-driven technology is moving forward in huge leaps along with the advanced development in speech recognition and natural language processing. This change is largely governed by the one factor that propels every innovation: Convenience. It is far more convenient to talk and future technology will be aiming to leverage that by fully integrating voice assistance to chatbots. Your mobiles or smart speakers at home won’t be the only things it’ll be limited to. Voice assistants and chatbots are already gaining traction in the wearable devices market from the Siri-powered Apple Watch to the Google Assistant-powered Pixel Buds, which clearly indicate that voice is the future. Amazon has already been leveraging this advantage with Echo, to help people seamlessly interact with e-commerce along with everything else. No longer just assistants for accomplishing tasks, chatbots have become the primary interface for managing whole suites of connected devices. However, chatbots are only the tip of the iceberg for how businesses will engage with consumers in the future. The Possibility of a Bot Takeover! Humans have a long and storied history of freaking out over the possible effects of our technologies. Today, as artificial intelligence’s multiply, our ethical dilemmas have grown wider, because AI can behave unexpectedly. A scenario in which AI becomes the dominant form of intelligence on Earth & effectively takes control of the planet away from the human species, is becoming increasingly probable. For an AI takeover to be inevitable, it has to be postulated that two intelligent species cannot pursue mutually the goals of coexisting peacefully in an overlapping environment—especially if one is of much more advanced intelligence and much more powerful. In the future, we will have machines that can cure us, make us live longer and send us farther and faster through space, and more. However, the byproduct of all the progress is that these machines will be more intelligent with the ability to decide more and more on their own. If robots become smarter than humans, as logic goes, the machines would be able to create unimaginable weapons and manipulate human leaders with ease. 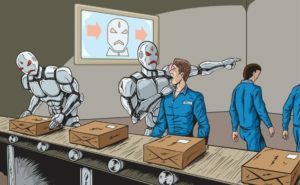 Possible scenarios include replacement of the entire human workforce, along with the popular notion of a robot uprising. Some public figures, such as Stephen Hawking and Elon Musk famously worry that advanced AI will take over the world and end the human race, and have advocated research into precautionary measures to ensure future superintelligent machines remain under human control. If a dominant superintelligent machine were to conclude that humans are unnecessary, the result would be human extinction. A popular theory on this matter is that all human brains will be read and installed into AI system memory. This way AI will use all that we are, we have created and have evolved to be. Another theory states that the basic principle of life will remain prevalent. Natural evolution: We continue to extend our native abilities via machines and engineered systems, so we can surpass the limitations of our physical bodies and minds. Another theory of social manipulation suggests that a superintelligence might be able to recruit human support, or covertly incite a war between humans. Humans, who are limited by slow biological evolution, couldn’t compete and would be superseded. So, while Hollywood showcases robots taking the jobs of humans, we know that this is simply not realistic. While AI may not replace human interaction, it can go hand-in-hand to offer splendid customer experience when used right. When the App Store was launched, it catapulted apps into the mainstream and now you can’t imagine smartphones without them. Whether a similar platform is created for chatbots, or will they continue to function and integrate independently within the apps and websites, is something only time will tell. Also, chatbots are not fully autonomous yet, and this makes them a potential liability. They can improve based on the data provided, but there’s a point of diminishing returns that can’t be ignored. Customers will be inclined to believe you’re cold and indifferent if they feel they are getting nowhere with automated responses. This could potentially cause serious damage to your company’s reputation. The main concept behind utilizing chatbots in the customer service arena is to streamline processes and remove friction. But if the chatbots aren’t capable of that, they may be counter-productive. It indeed is quite comfortable for people to use chatbots to make bookings, pay taxes, schedule appointments, etc. But they still have a long way to go for truly replicating the natural understanding of human behaviour. Coupled with the accelerated growth in the Internet of Things, chatbots are set to revolutionize the way we interact with literally everything around us. They might perhaps eventually rule out the need for computers or mobile phones for the average consumer’s daily life!